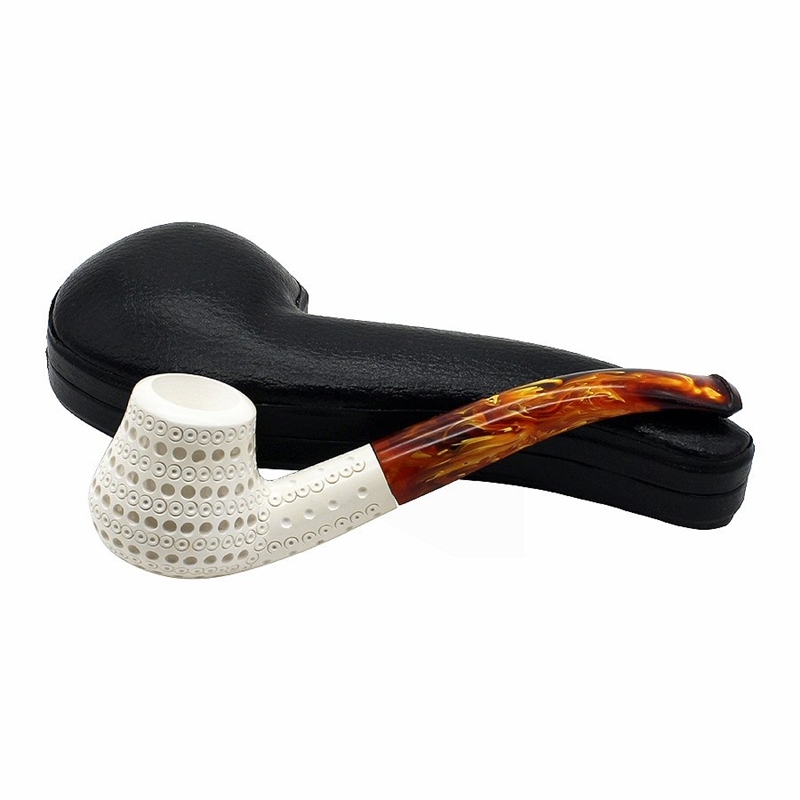 Hand Carved 3D Lattice Styled Billiard Meerschaum Pipe - This pipe is a unique find to add to your pipe collection. The billiard bowl shape is styled having a slight inward graceful curve. 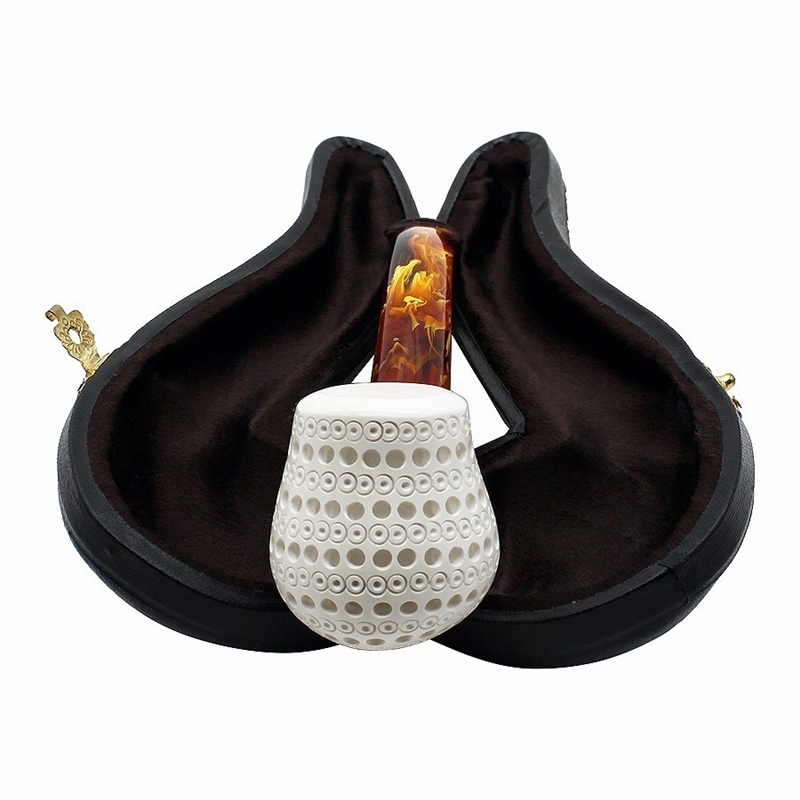 In addition, the round lattice carving around the bowl is done in three dimension. It takes a talented carver with lots of patience to carve out the additional space behind each lattice to give the 3D effect. The pipe is finished with a richly colored marbled bent stem.